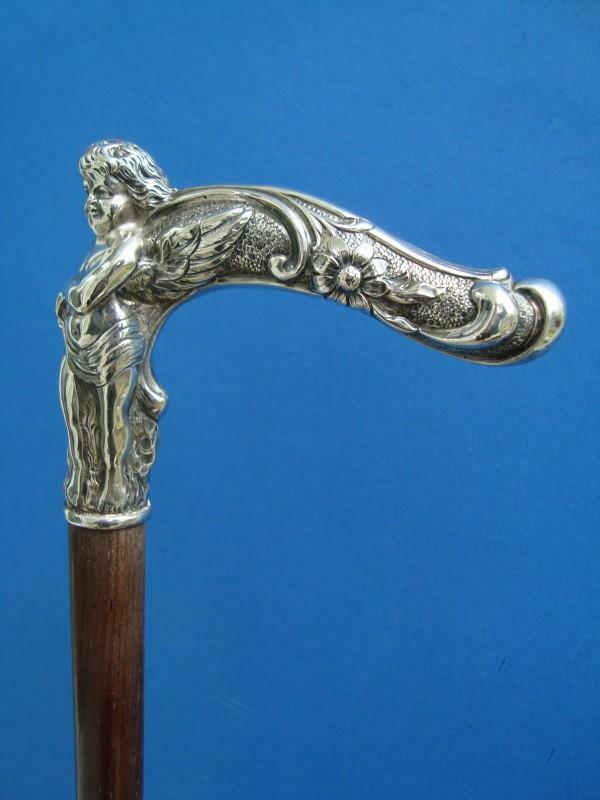 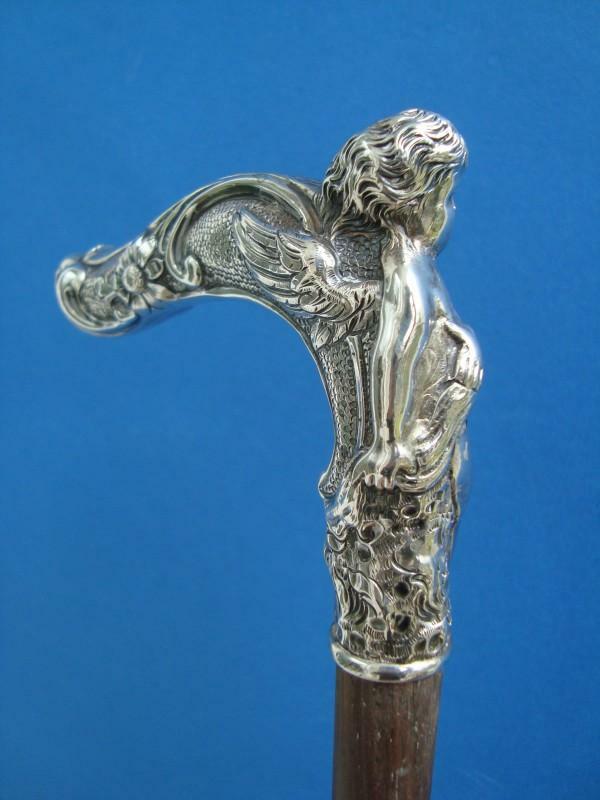 An Art Nouveau walking cane, presumably Vienna, with a T shaped silver handle with a Putto on the front side. 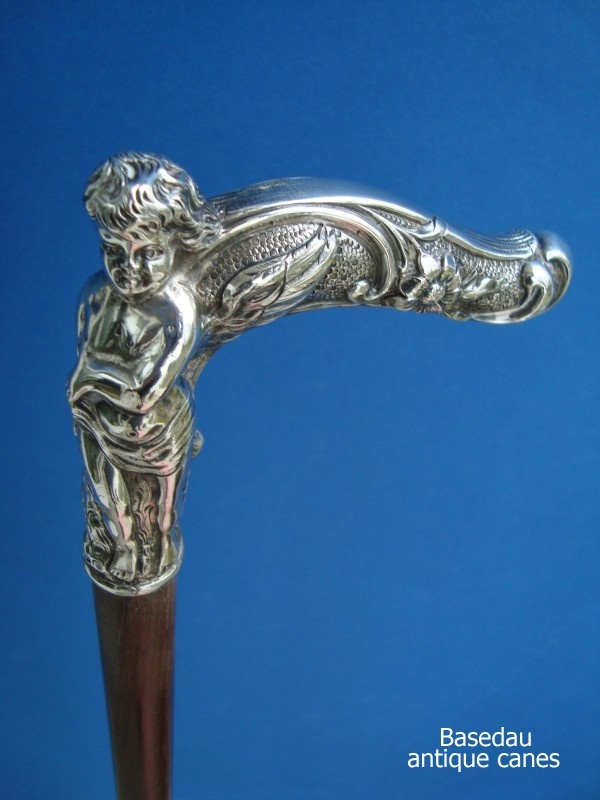 An Art Nouveau walking cane, presumably Vienna, with a T shaped silver handle decorated with flowers on a stony ground. 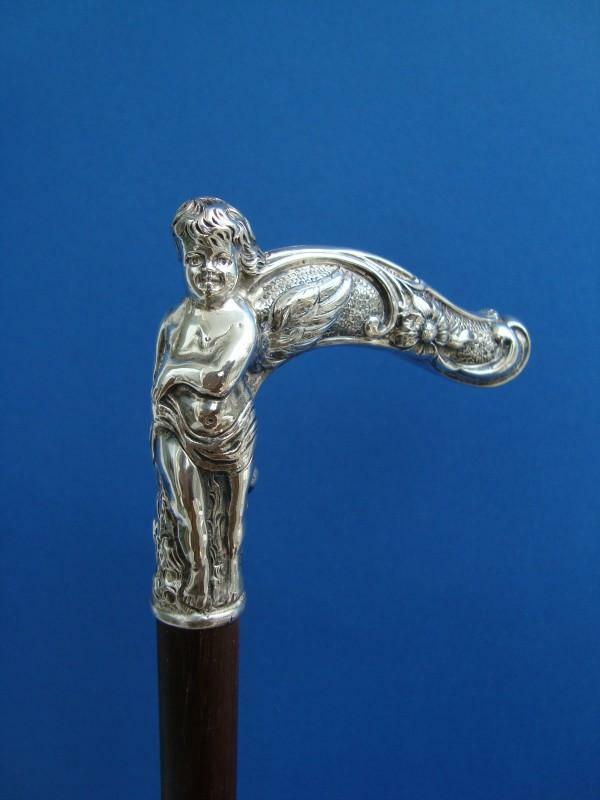 On the front side a Putto. 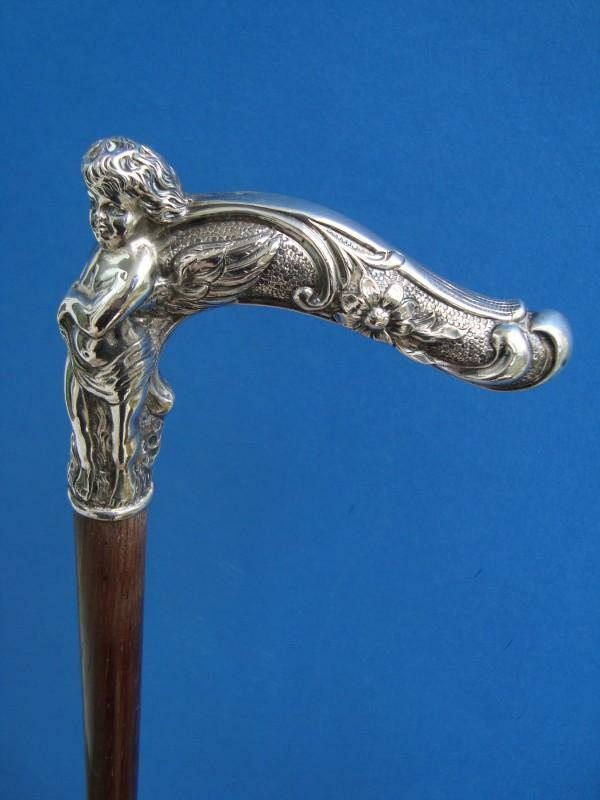 The handle is directly fitted on a rosewood shaft with a horn ferrule. 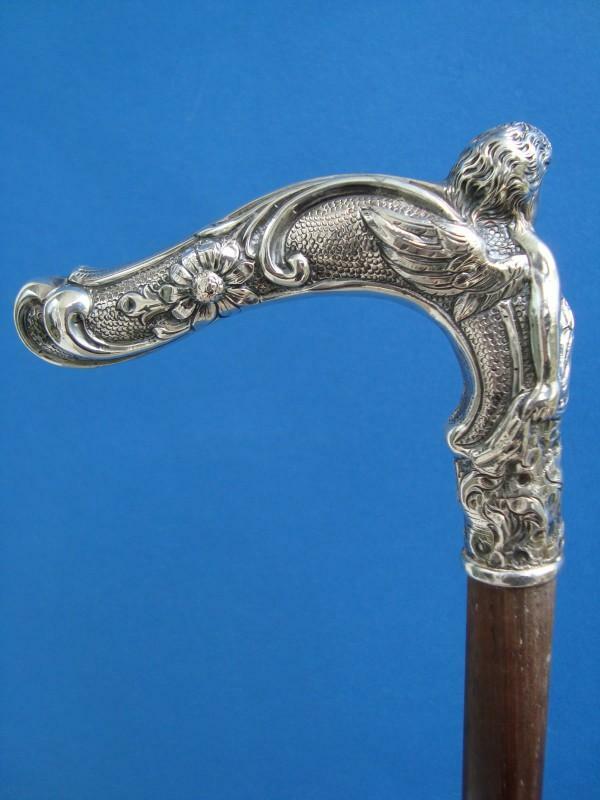 Measures: Handle: L.11 cm, 4,3", overall length 91,5 cm, 36".